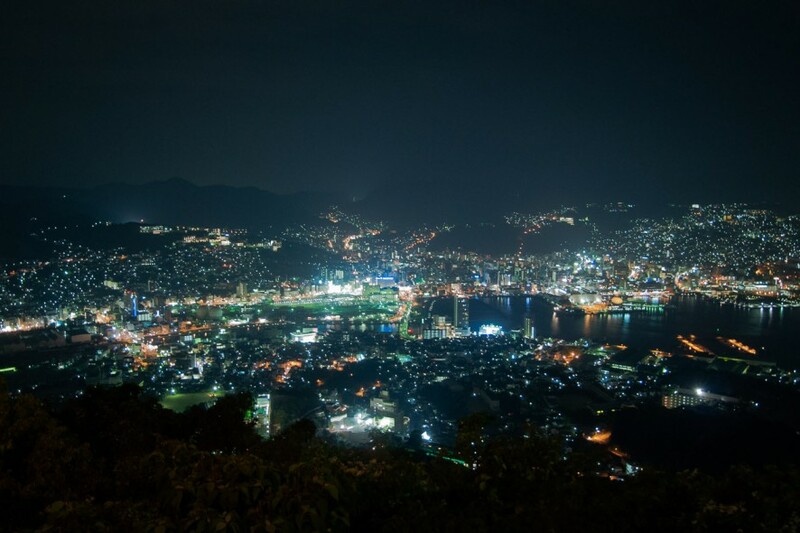 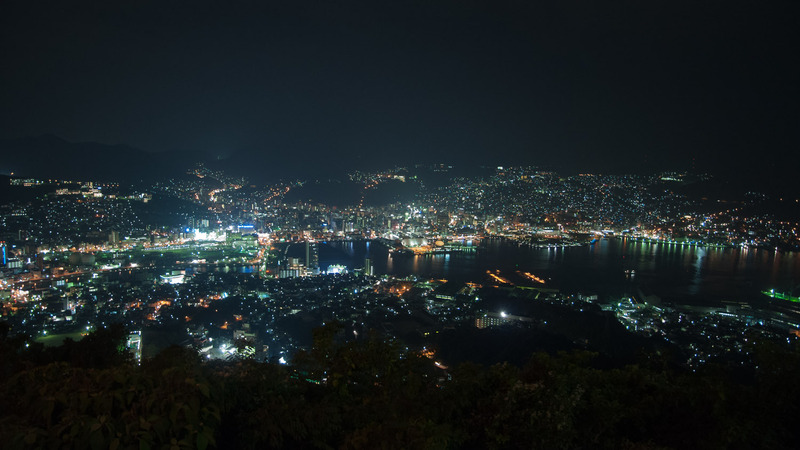 Viewed from the heights of Mount Inasa (333 m) the city of Nagasaki at night sparkles like glittering jewels and is considered one of the three most beautiful night views in Japan. 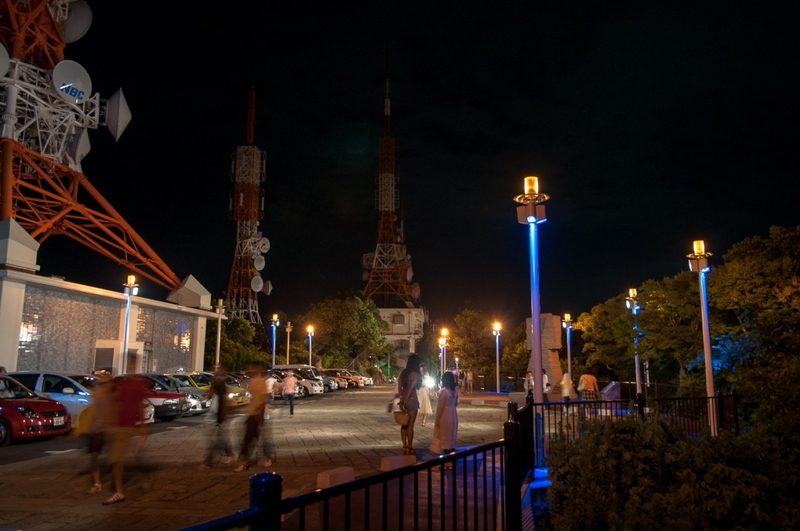 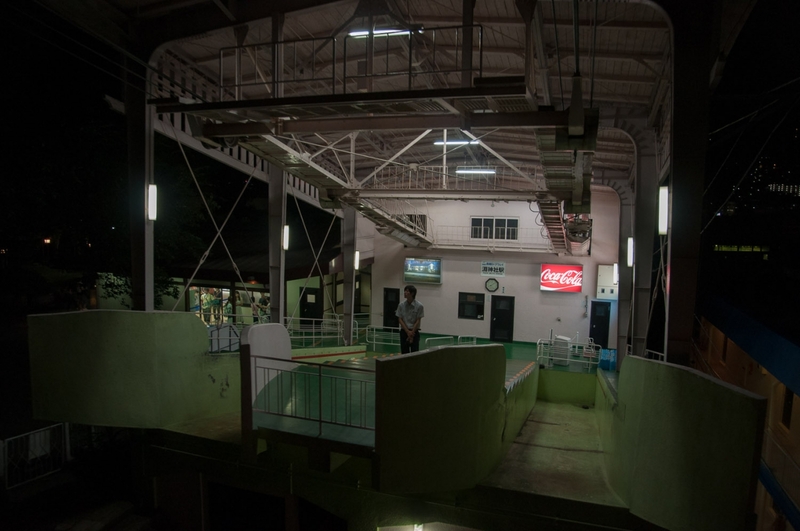 The journey is easiest by ropeway and at the top you are greeted by numerous gigantic TV transmitter masts and other antennas. 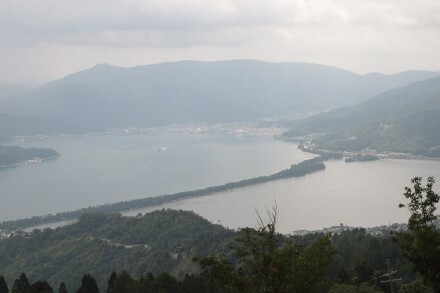 The base station of the ropeway retreating into the distance.